I know I am a little late to the game, but 2018 has started out busy and I wanted a little time to reflect on the past year. Looking back at my year-in-review of 2016, I am reminded of how difficult that year was for me. Pretty much the hardest year thus far. In contrast, 2017 was busy and happy and wonderful (mostly, of course there were ups and downs) but I would like to take a few minutes to review what happened over the past year. - One big change for me was that I redesigned my blog. For a long time I thought that since WHAT I am posting should be the most important thing, the way my blog looked didn't really matter. Now I realize that since I had no idea HOW to improve the appearance, I was just making excuses. It took lots of time, tears, and the help of my cousin, but I think that things are now a little easier on the eyes while also being a little more functional. - This year I also released 4 new quilt patterns: Alice, Eliza, Flora, and Linda. - I was super busy! In 2017 I completed 34 (!) quilts, some stockings, and a few pillows. 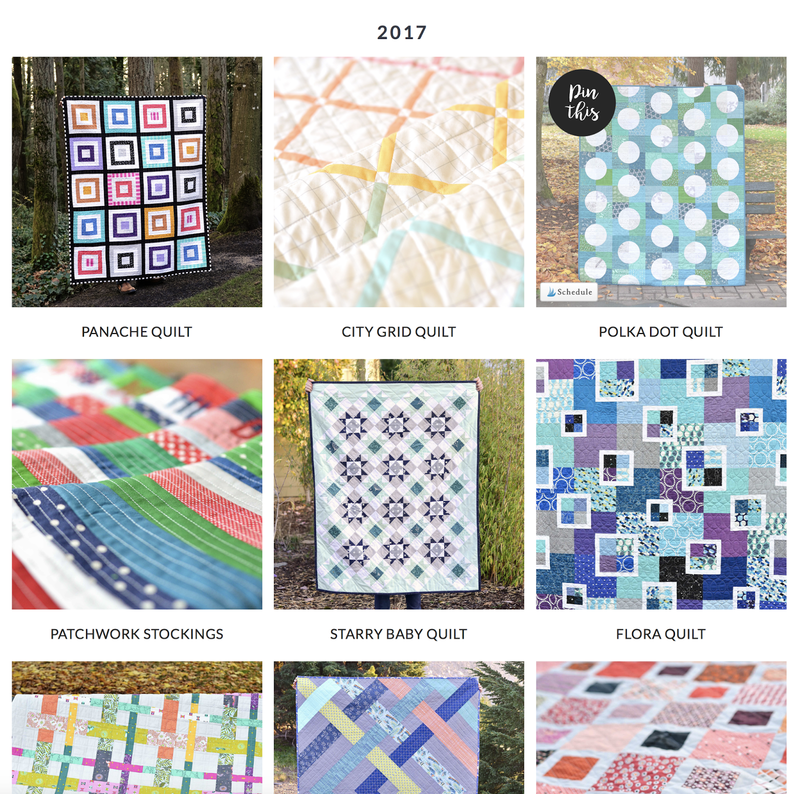 I also spent some time tonight updating my 2017 Quilts page. - I finished up an epic sampler quilt. 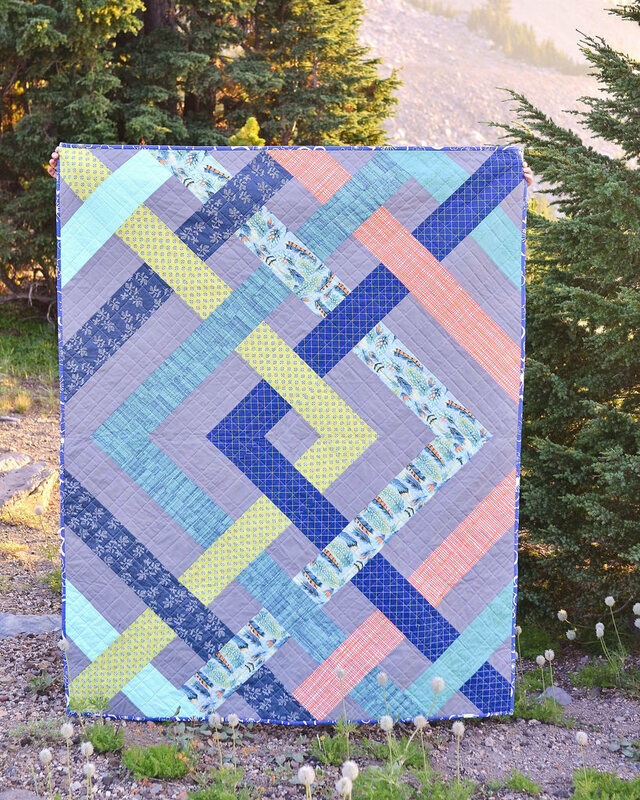 If you are looking for a fun project, the Fussy Cut Sampler is an excellent choice. - I ended sponsorships on my blog. This was a difficult choice because I loved my sponsors, but I felt like there were ways in which they were limiting. Hopefully this year I can put a focus on quality blog posts. What are my goals for 2018? Release 8 new patterns. I should have the first one ready next week, stay tuned! Post a new Giant Block each month. Remember that family comes first and I shouldn't get cranky when my kids interrupt me when I'm sewing. Find ways to help pay the bills without having to make compromises. For a long time I really focused on quilting as just a hobby - it wasn't my goal to generate income. But our financial situation changed when we moved to Oregon and if I am not able to generate a small income here, then I will have to find another way to do it (which would negatively impact the amount of time I have to sew/quilt/blog). I am hoping to do this by making more patterns, having a few (hopefully non-obstrusive) ads, and through affiliate links. These are so important to helping me keep this blog going and I really appreciate your support! I am so excited to see what 2018 has in store and can't wait to share it with you. Thank you for everything! Perhaps I missed it, but I don't recall you mentioning the fact that you were among the top 25 quilting blogs of 2017. That's quite an accomplishment in itself, so congratulations on that. I enjoy your blog whether it is redesigned or not as I always find a lot of inspiration. Good luck on your 2018 goals. I forgot to add that to the post! Thanks for the reminder, I will add it. So many accomplishments! Kudos to you! I love everything that you make and do. You are such an inspiration to me. Thanks Rosemary! I always love your sweet comments! 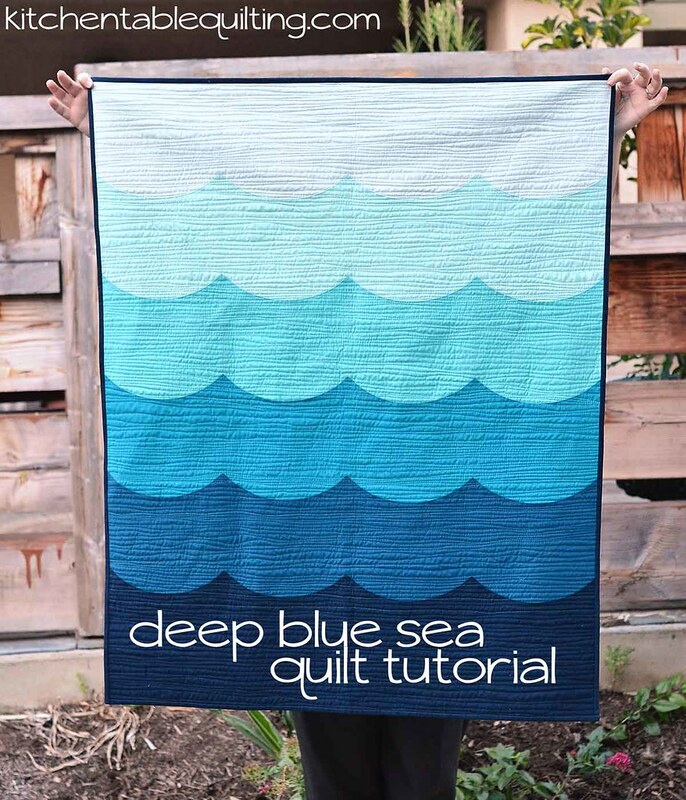 I have just discovered your blog while "playing" on pinterest and am very impressed with all of your quilts. I want to continue to see more and read more about your quilting adventures. Plus, I discovered that you live in Oregon. I live in Southern Oregon, Grants Pass to be exact so we could be neighbors. 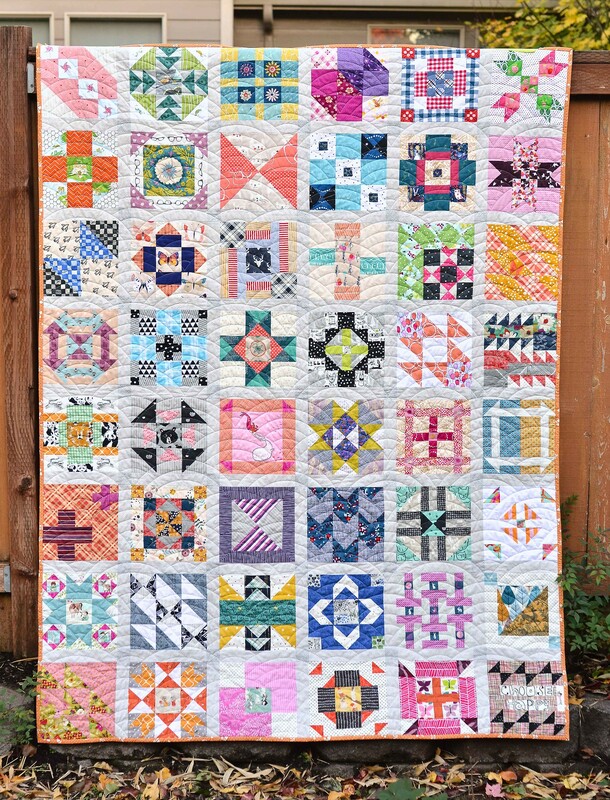 Lots of great posts and fabulous quilts, so I look forward to more posts from you! Have a great day tomorrow! I'm glad you discovered me! We moved to Oregon at the end of 2016 and live in Salem - so not too far away! You accomplished SO much last year! I hope this is a really good year for you and can be what you need it to be. I really appreciate what you do! Thanks Debbie, so did you! I appreciate what you do too! Oh yes my friend This is a very good story. For me and others.